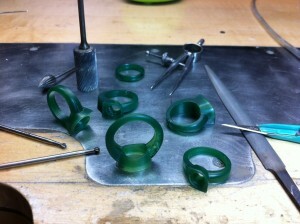 Time to refine your wax carving skills! Learn how to create the engagement ring your clients are asking for. Instruction will be given in a step-by-step method of carving that focuses on precision, symmetry, and clean execution of both subtractive and additive wax-working techniques. Seats are filling, don’t miss out!